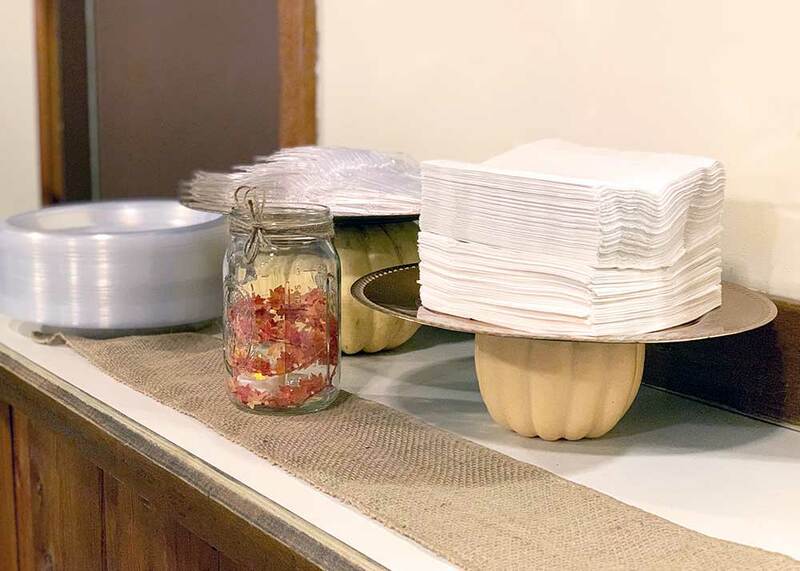 Last month, my family threw a fall-themed graduation party for my younger sister, complete with DIY-ed fall centerpieces, a tasty popcorn bar, a warm hot chocolate station, and a cozy bonfire. It was a great night, and everyone had an enjoyable time. Over the next few months, I’ll share ideas from the party so you can throw a great fall get-together, too! 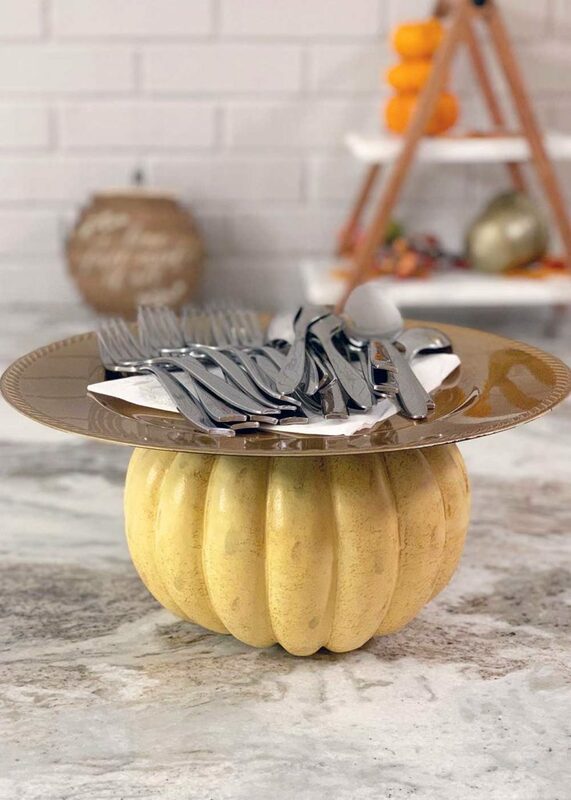 For our first installment, I wanted to give a small tutorial for the fall serving platters that we used for silverware and napkins. 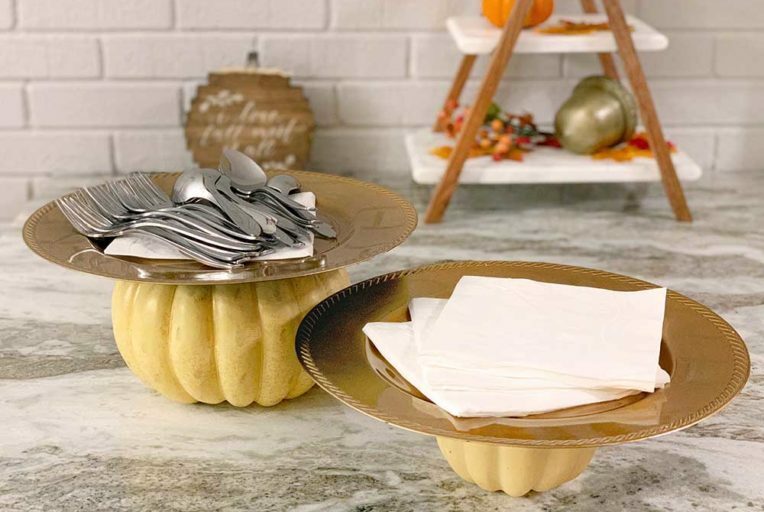 These received a ton of compliments, and – literally – are the easiest decor item to make… probably ever. Plus, they only cost a few dollars! Score! 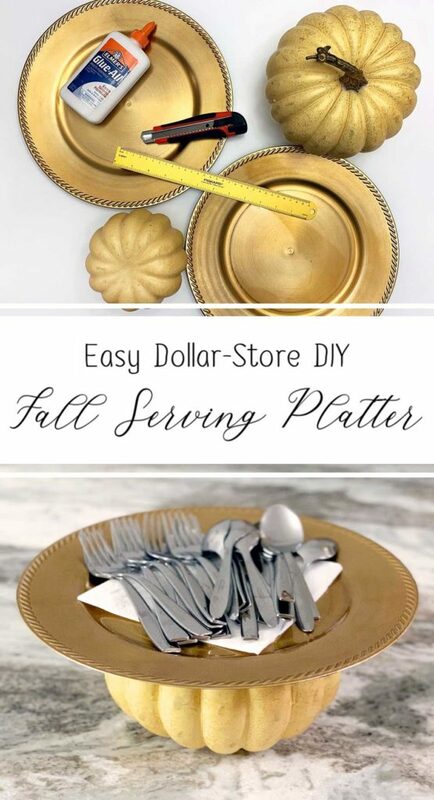 Follow the instructions below to make your quick and easy, dollar-store fall serving platter. 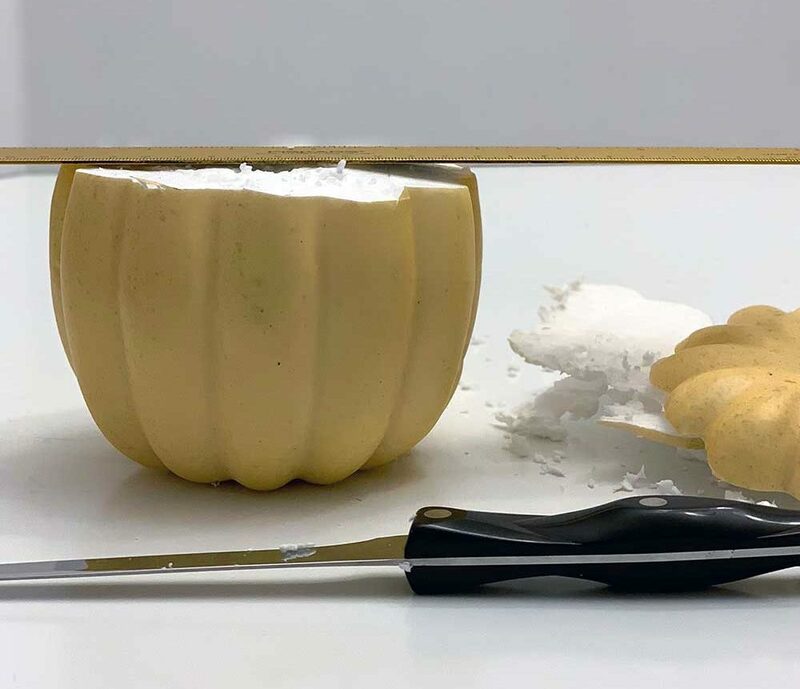 Step One: Using your thin knife or box cutter, trim off the top of the foam pumpkin to create a flat surface. Lay the ruler across the top as a makeshift level, and adjust as needed. 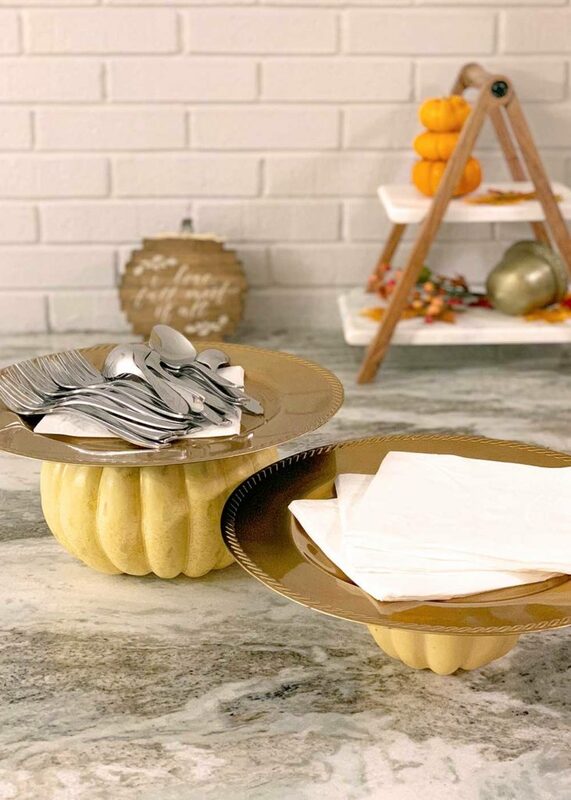 You don’t want the plate to sit crooked, otherwise, all of your cookies might slide right off the platter! And, wasting cookies might be the worst thing to happen since parachute pants. 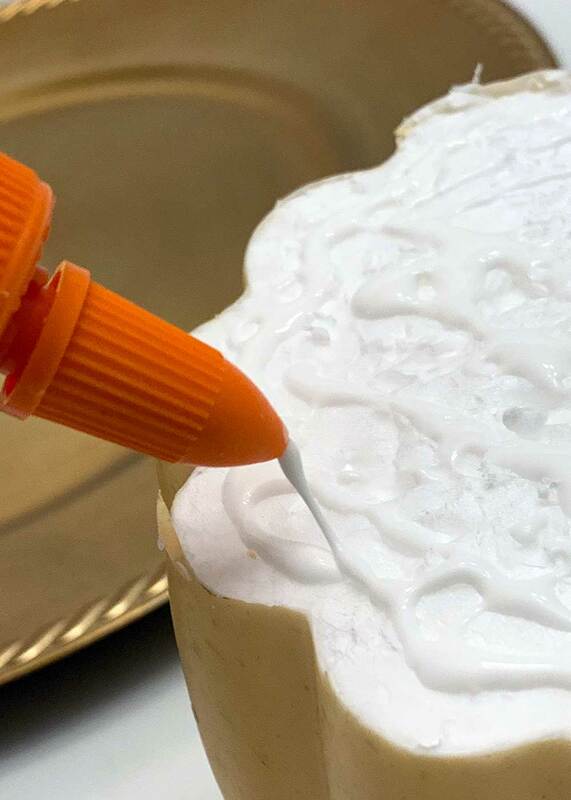 Step Two: Once the top is leveled, cover the entire foam surface with glue. Step Three: Center the platter over the glue, and press it down to adhere the surfaces together. You can set a heavy, but sturdy object on top to help weigh down the plate while the glue fully dries. Just like that, your fall serving platter is complete! Tell me that isn’t the easiest DIY you have ever completed; I dare ya! Thanks for reading! I hope you enjoyed this short tutorial; be sure to leave me a comment and let me know what you thought! 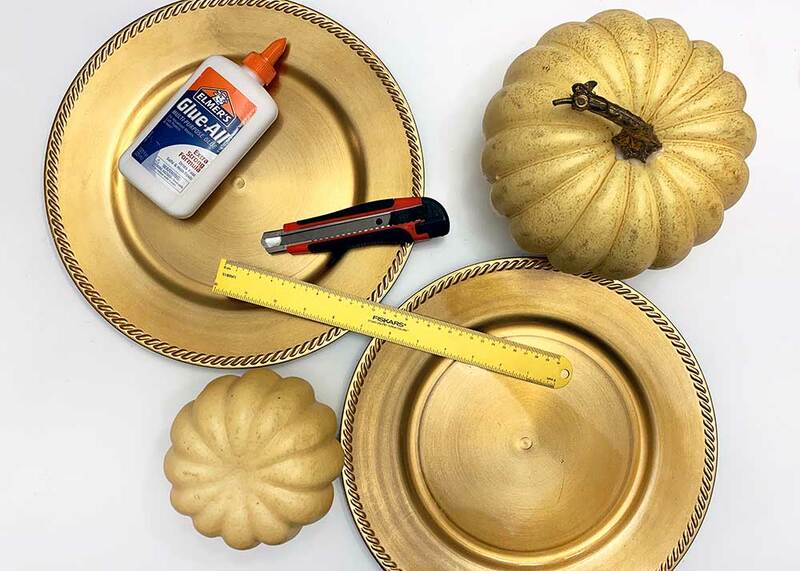 If you’re really in the fall mood, be sure to check out my last fall DIY here! Don’t forget to find me on Instagram so we can keep in touch, and enter your email below to receive notification of my next blog post! *The commission received from affiliate links helps bloggers like me keep our sites up and running, which means we can provide great content for awesome readers, like you! If you enjoy my blog and would like to support, feel free to use my personalized Amazon link, here, for any other purchases you need. P.S. Pin one of these for later! Forgetful like me? Pin one of these images to remember this tutorial for later!